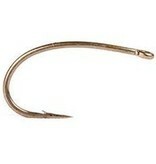 A newly designed hook with a curved short shank. The straight-eye design provides a more open gape in the smaller sizes. 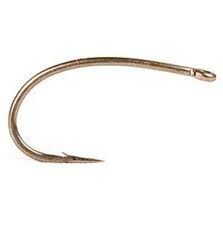 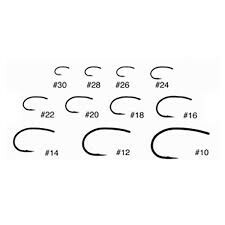 More than just a straight-eye version of TMC2487, this hook is useful for a wide variety of small patterns.